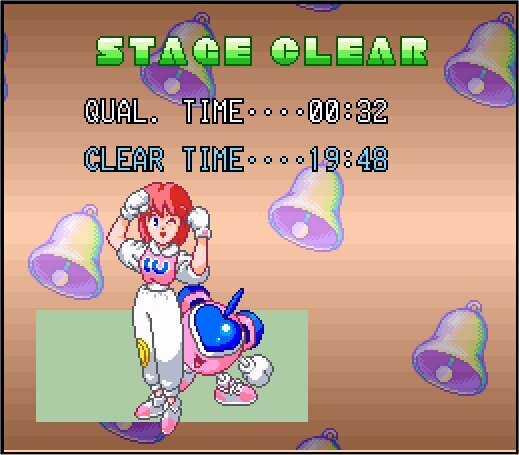 It’s no secret that I love Pop N Twinbee, with its bonkers story line, adorable sprites and catchy tunes. For a long time it’s been my go to game for a quick blast. There’s just one problem with this adorable vertical shooter though – lasting just an hour it really is too short. 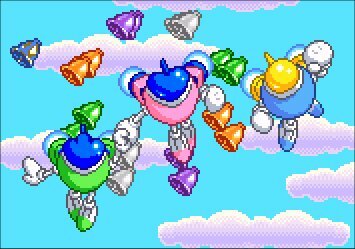 What the world needs is more of the same, what the world needs is a sequel, what the world needs is Pop N' Twinbee Rainbow Bell Adventures. takes to the skies, flying through the air over a glorious mode 7 background. Familiar title screen, familiar logo, even a familiar sound when your press start. I am poised ready to hammer that fire button, the screen fade to black and the game appears. Then everything takes a turn for the strange. Not in a quirky ‘isn’t that a crazy Japanese thing to do’ way. But in a confusing ‘why can I see the side of my flying machine and why is it walking along the ground’ way. While it may be an unexpected platform game, rather than the vertical shooter that everyone wanted what’s fortunate for Rainbow Bell Adventures is that it’s a surprisingly good platformer. For me the merit of a ‘moving from left to right jumping on enemy’s heads’ game lays in how it compares to the greats, of which the SNES has many. It needs to do something that Yoshi’s Island or Donkey Kong Country doesn’t do. More importantly it needs to not try and emulate the might of Mario World, (as of all those that tried during the entirety of the Super Nintendo’s life none managed to better the first game released). 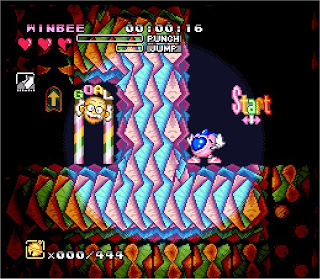 Rainbow Bell Adventures plays like a fusion of Sparkster (Rocket Knight Adventures) and Sonic. Player energy may be dictated by three hearts but much like its prequel the range of abilities your character has is dictated by which coloured bells you have collected from the corpses of your fallen foes. Much like Sonic and his ring addiction, getting hit by an enemy leads to a mad dash to grab the bells that cascade from your body. Without these bells you are vulnerable, unable to move quickly or even shoot -your only defence from enemies is a the always dependable head stomp. It’s an interesting mechanic, which ties it in nicely to the prequel but also adds a risk reward system, where you’re always debating if its worth risking your remaining energy to gain the ability to move faster, or kill enemies from a distance. why can't I find it? ou to unexpected points in a level, and often the quickest way to find the exit is to head in the opposite direction to what seems natural. Unusually though, considering this slightly unorthodox approach to level design, the game has a simultaneous 2 player mode, something that the greats all lacked. Indeed it’s more elaborate than simply constraining each player to the same screen, like Donkey Kong Country. Instead Rainbow Bell Adventure, incorporating a system of off screen arrows, screen switching and teleporting. This may all sounds confusing but it works well and intuitively. Considering the size of the majority of levels and the focus on exploration, the Sonic 2 style split screen mode used in the (very limited) battle mode, would have been well suited to the story mode as well. Presumably processing limitations hampered this, which is a real shame as unlike the Pop N' Twinbe shooter, playing the game alone equates to a halved experience. Given the prequel’s variety and imagination, Rainbow Bell Adventures seems artistically restrained. Though the 33 stages seem numerous on paper there are only six areas, and some of them look bland and muted, made worse by the same enemies repeating across them. 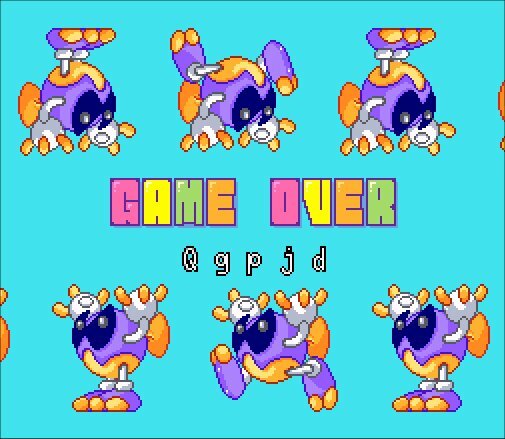 The bosses too lack the all out bonkers appeal of the game’s vertical shooting big brother, even if one in the final levels is called BooBee. What is excellent though, is the main sprites, which for me is the perfect size for optimal pixel art beauty set against function. While they appear to be nothing but pallet swaps on first glance, each of the three playable characters ooze their own charm and personality. Each one is wonderfully animated, dancing when no directional button is pressed, bouncing off walls or other players with charming clumsiness and even stumbling over things when running at full speed. While the design was clearly set in stone based on the cut scenes of the prequel, its remarkable how well these rocket ships work when transplanted into a new genre. predictable. Maybe it’s the lack of Yamane as a composer, but the tunes sound more obvious, repetitive and are far less catchy. Perhaps it’s because I’ve played it so much more, but as I type this I can hum several tunes from Pop N' Twinbee (I won’t as I’m on a train and that may raise too many eyebrows). 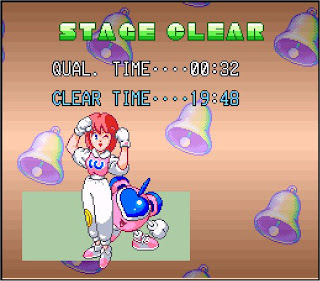 I can’t however hum a single tune from Rainbow Bell Adventures even though I was playing it not 20 minutes ago. It’s certainly unfair to compare anything to a game that I consider almost 16 bit audio perfection, but if it shares the same name, the comparisons are unavoidable. Obviously, music does not subtract from the game play, but the inferiority does subtract from the experience. I really need to improve my speed run time! perfect route is memorised, to figure out each level’s lay out takes time. I spent over twenty minutes on some, in a futile attempt to find every bell – futile because of the 777 on this level I could only find 775. Not being able to discover these elusive 2 bells however seemed to have no bearing on anything what so ever. You’re not even given a completion percentage at the end! The length though is perhaps justification for the cost as Rainbow Bell Adventures often commands a high price on eBay, currently £45 or more for a good condition boxed Pal release, but only £30 for a boxed copy of the superior Super Famicom version. 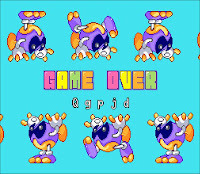 The 16 bit era was an era of 2D platform games, no matter how many were released each month, people kept buying them even if an increase in volume meant a decrease in quality. Thankfully, Pop N Twinbee Rainbow Bell Adventure is much better than your average. Even if it’s hard to compare the two on anything other than the level of enjoyment it’s an inferior sequel however. The platformer is not as charming, witty vibrant or indeed fun as it’s shooter prequel. 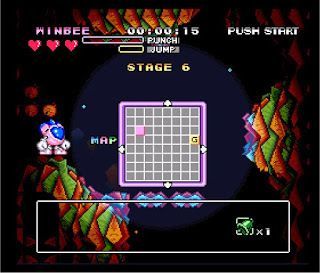 I’d rather have a genre mimicking sequel, just because I liked Pop N Twinbee so much, but that’s not to say I didn’t enjoy this game. Would I have played it had it not had Twinbee and Winbee on the box? Probably not, but I’m glad I have no matter what the prompt. That’s all a bit of a long rambling story, but fortunately you can read it here! In the end I paid a fair bit (compared to what I normally do!) for this game, less than the market value but still quite a bit. I’m pleased I have, as I’ve found myself somewhat hooked on it even though I have other games to play. It may be maddening and un-precise, but like its predecessor its very addictive.